Ling Chen from the School of ITEE was scanning the Graduate School's student newsletter and an advertisement for an industry placement caught her eye. She happened to be in a position to take advantage of the opportunity, so she contacted the Graduate School to ask for more details. The placement was organised, and Ling was able to demonstrate her skills in a professional context. 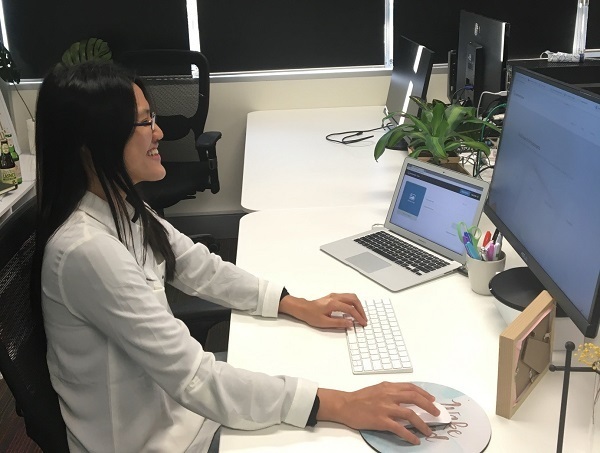 Ling's industry placement was offered via the Queensland Government's PhD Industry Experience Program, and it was the perfect match for her data mining skills. The placement introduced Ling to growing Brisbane-based international firm Trademark Vision, specialists in image recognition tailored for brand protection. Ling was nearing thesis submission and at the same time, Trademark Vision secured a multi-million dollar intellectual property contract. On completion of the 30 day placement, Ling was offered a permanent position as Research Developer with Trademark Vision. She is now part of young dynamic team of tech specialists who investigate and protect brands and intellectual property for private enterprises and also on behalf of government organisations.